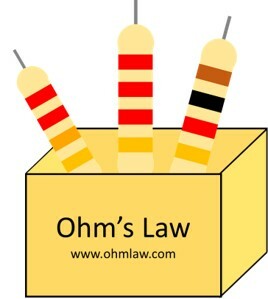 Today you’ll learn a step by step guide to perform the Ohm’s law Experiment. You’ll learn the use of voltmeter and ammeter in parallel and series, resistors, dc power supply, wires and all other equipment which is used in doing the practical. This article demonstrates the Ohm’s Practical experiment. You can find the lab report, reading, observations, and theory here. Connect the resistor on the breadboard. Connect the source to the breadboard. Connect the ammeter in series. Connect the voltmeter in parallel. 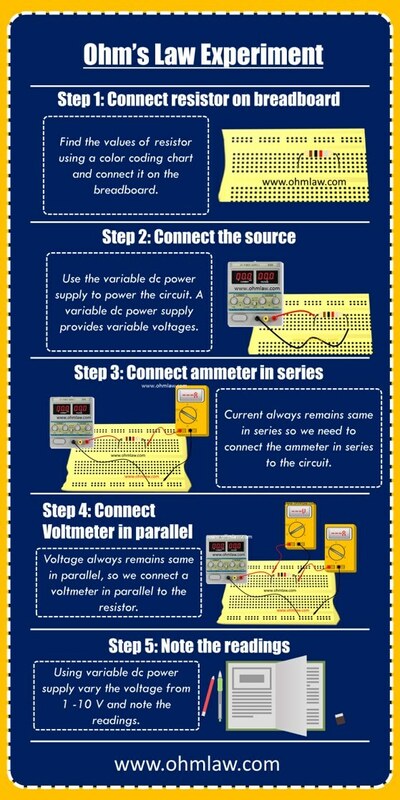 Increase the voltage step-by-step from 0 to10 V and note the voltage/current. Carbon resistors are the most popular type of resistors which are used in lab experiments. Circular color bands are used on their bodies are to indicate the amount of resistance they possess. 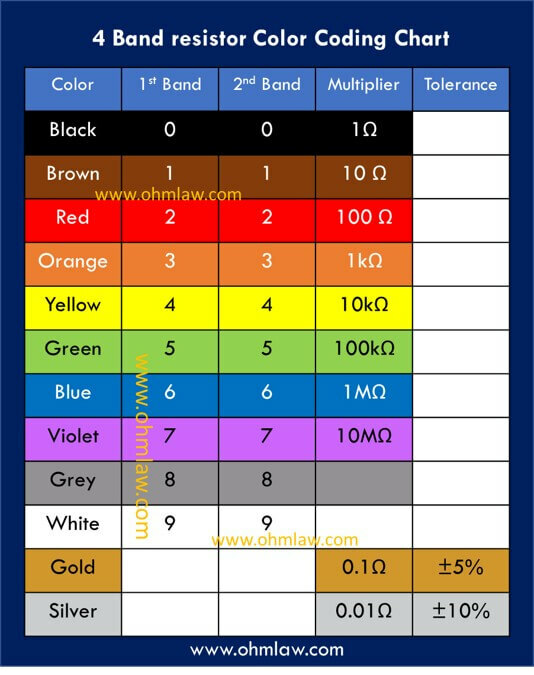 We can use a color coding chart to find the value of carbon resistors. Let’s consider your resistor box has three resistors. Resistor 1 is a 4 Band Resistor with Brown, Black, Red, Gold bands on it. Resistor 2 has Red, Red, Red, Gold bands on it. Resistor 3 has Red, Red, Orange, Gold bands on it. The first band of all resistors is the first digit of resistance, the second band is the second digit of resistance. The third band indicates the multiplier values whereas the fourth band indicates the tolerance value of resistors. Let’s understand how a color coding chart helps us to find the value of resistance. Here the first band is brown so the first digit is 1, the second band is black so second digital 0, the third red band provides 100 as multiplier which is 10 * 100 = 1000 Ω. The last golden band represents a tolerance of 1 kΩ ± 5%. The second and third resistors are decoded to be 2.2 kΩ ± 5% and 22 kΩ ± 5%. A variable dc power supply or VDC has a circular knob which can be rotated to obtain variable voltages. An LCD displays the number of selected output voltages. The alligator wires are used to take the output from the supply. Always connected red wire/probe to red (live) terminal of the battery and black wire to the black terminal of the battery. The figure below displays a variable dc power supply. While performing the experiment you rotate the knob to obtain step by step variable voltages. A Voltmeter is connected to the resistor for measuring the amount of potential difference across its ends. A voltmeter always connects in parallel because the potential difference remains same in parallel. Practically voltmeter, ammeter, and ohmmeter are designed together in the form of the multimeter. So you need to set your multimeter to the voltage scale. 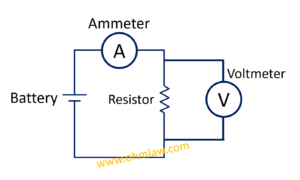 An ammeter is a current measuring device. It connects in series to the circuit under measurement.